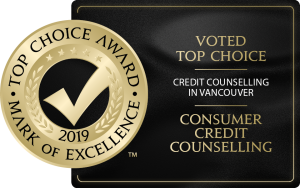 All Canadian Consumers are able to obtain a copy of their Credit Report Online, by phone, by mail or in person at a select few locations in Canada. The Credit Bureau will list your personal information such as name, address, phone number and employer information. It will also list your Credit History including all Debts that you have obtained including the balances. It will also note if you have been late on any payments and what month and year it was late. The Credit Bureau will also show all inquiries if you have applied for any Credit, Collection items and will show Public Records including Registered items, Bankruptcy and Judgments. There are two Credit Bureau’s in Canada called Equifax and TransUnion. It is always suggested to obtain both Credit Bureau’s as some Creditors report to one and not the other and may have different information. To obtain a copy of your Credit Bureau for free, you would have to request this by filling in the Credit Bureau Request forms for each Credit Bureau which are available through their website to print out or we have listed the links below. You would require to send proof of your ID confirmation your identity. You may also call into the Credit Bureau’s directly with their automated telephone service to obtain a copy of the report. With this option, you are normally not able to get a live agent and will have to follow the prompts through your touch tone phone to order your report this way. You must have correct information such as your current address, date of birth and Social Insurance Number and they will also ask other security questions to verify your identity. If you would like to order your Credit Bureau immediately online there is a fee for this which differs for both Equifax and Transunion. You may go onto their websites directly to Equifax.ca and Transunion.ca and select to order your report and fill in the requested information. You are able to obtain your Basic Report however the Credit Bureau’s will ask if you would like your Credit Score as well which is an extra cost. They may also ask you to sign up for Credit Alert which will monitor your Credit Bureau daily to ensure there is no fraud on your account. With this, you will have access to your Credit Bureau anytime however there is an additional monthly fee for this. It is recommended that you read everything thoroughly when you are ordering your report online to ensure you want to sign up for this option or obtain your Credit Score.